Yves V returns to the studio to follow up on his last track with Freddy See on Armada 6K. This time the DJ/producer has gone back to the ‘Oldschool Sound’, and created a rave track of the same name which is laced with a heavy dose of acid. Having built a reputation as a resident for Tomorrowland festival, Yves V has over the past years been exporting his brand of big room house across the planet. The release comes off the back of a number of decent releases and having received support from artists including Pete Tong, Hardwell, Dimitri Vegas & Like Mike, Afrojack and Tiësto amongst many others. 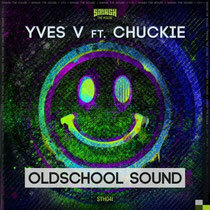 Featuring Dutchman, Chuckie, the DJ and brains behind big room institution Dirty Dutch, ‘Oldschool Sound’, which should leave crowds chanting the vocal loop just before the drop brings them crashing back to the dance floor. Yves V cites early influences such as Detroit techno legend Jeff Mills, so it’s little surprise that he has turned to a 303 acid bassline for the track. It’s out now, check it out below.